Lots of great eye candy to showcase this week. How wonderful to see all of these quilts and the quilting on each one. THANKS ! Hi Michele! I came over from Lynn's blog. I've seen her quilts in person and they are to die for! Great stuff here - thanks! I too have come from Lynn's blog. 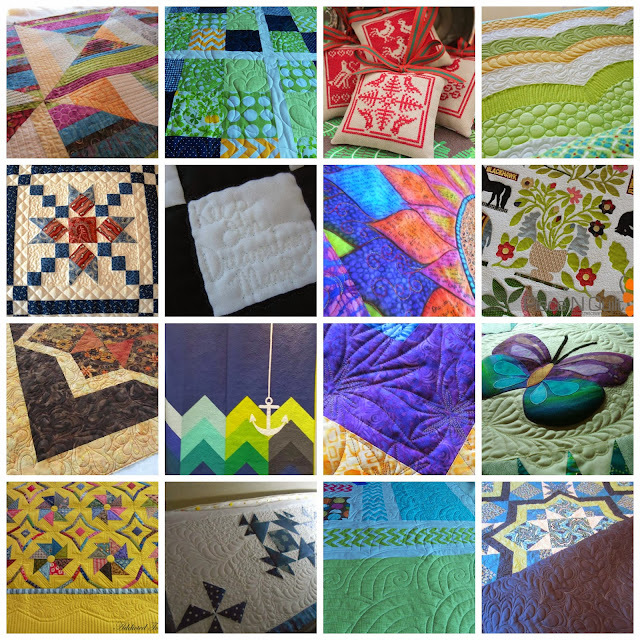 Her quilting is awesome, and so are her designs. You are showing some great quilting in this collage, thanks.